Dog rehoming is a controversial topic. The thought of a dog being abandoned at a shelter, while the people he loves walk away forever, is heartbreaking. We all know that a dog is for life, or should be, yet most of us accept that there are occasionally circumstances, when rehoming is the best option for a dog and his family. We are going to look at dog rehoming objectively in this article. It is one of life’s great tragedies that over a thousand people search the internet each month for ‘how to get rid of a dog’. Not so many people search for ‘when’ or ‘why’. That’s a great shame because sometimes, with a little help, people can get through the crisis and their dog can stay with them. We’ve all come across callous people who don’t deserve a dog and who should never have got a dog in the first place. But not everyone who needs to give up their dog is uncaring. Some of those in this position care very much indeed. Giving up a dog – why does it happen? The last thing that occurs to most of us when we arrive home with a new puppy in our arms, is that we might one day have to give him up. But the hard truth is, thousands of dogs are given up by their owners every year. For many different reasons. 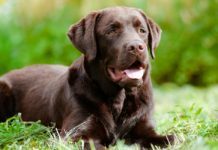 Labradors are no exception, and Labrador Rescue Societies have a steady stream of dogs through their doors. So before we go any further, let’s look at why so many dogs are rehomed each year. And what can you do to make sure this does not happen to you if you are struggling with your dog right now. Sometimes dogs are given up because their owners were simply unaware of what was involved in owning a dog. This can result in dogs being abandoned for normal ‘doggy’ behavior that their family did not expect. All these things that we know as experienced dog owners are ‘news’ to many new puppy owners. Raising a puppy is not something we are born knowing how to do. 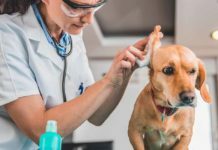 If your dog has developed behavioral problems for any of these reasons, it can be tough to acknowledge that you are responsible, but happily, in most cases these problems can be fixed. You can click on any of those links to find out more. Sadly however, some dogs are given up because their family’s circumstances have drastically changed. Marriages sometimes end, relationships break up. People sometimes die, or become disabled, and dogs, like children may suffer in these circumstances. Unlike children, dogs are often rejected by both parties after a marriage breakdown, and relatives may not be so keen to take on an older dog that belonged to a deceased relative. 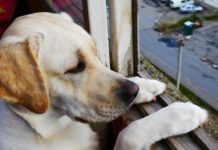 Some dogs are given up because their owner is forced to work longer hours due to a change in circumstances, or because their work has taken them abroad. Although some people feel that no-one should give up a dog under any circumstances, I don’t agree. Keeping your dog and struggling against all odds to do so, is not necessarily in his best interests. But making a decision to give him up is a terribly difficult one. You may feel as though you have failed. This can be especially painful if you have also suffered a separation or bereavement. You may be afraid for your dog’s future, of what may happen to him if you do not keep him. What you will need is advice and support. The important thing to be aware of, is that there is a right way, and a wrong way to go about rehoming your dog. Unless you are very experienced and knowledgeable about screening potential new owners, private rehoming is a risky business. There are unscrupulous people out there, that will take ‘free to a good home’ dogs and use them for unsavory purposes, for indiscriminate breeding, or even for dog fighting. As a private individual, it would be difficult for you to check out the credentials of any new owner, or to assess their suitability. This is really a job at which some dog rescue centres excel, and the best chance of a good and permanent home for your dog lies with one of these dedicated organisations. More of that in a moment. But what about your local animal shelter? You need to be very realistic about what is likely to happen if you surrender your dog to a general animal shelter. Many animal shelters will kill surrendered animals within a few day of surrender. 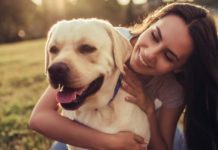 Every shelter has it’s own policy, and indeed some have a ‘no kill’ policy but you owe it to your dog to know what the shelter’s policy is before you walk out of his life. 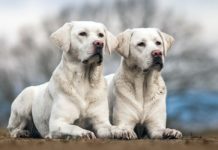 Much the best option for your Labrador is to get him accepted by a breed rescue. Let’s look at that next. People that have to part with a dog usually feel very judged and embarrassed by the whole situation. They are often afraid to approach a ‘Rescue Organisation’ and be labelled as “that awful person who couldn’t cope with their dog”. But on the contrary, a good rescue will not judge you at all. They would far rather you gave up your dog under their guidance, as part of a carefully controlled process. They understand that you love your dog. And will think you a responsible and caring person for approaching them. They will be able to offer you support and advice as you make your decision, so it is worth approaching them early on in the process, even before you have made up your mind. If you need to rehome your dog because you cannot cope with his behavior, you must be brutally honest about his faults. This honesty enables the rescue centre to match the dog with the right owners, people that are capable of dealing with any problems he may have. This helps to prevent your dog being passed from home to home in succession. In any case, a new owner will discover them soon enough. And there are many experienced dog owners out there willing to take on a dog with some problems, provided that they understand what they are getting into. If you are struggling with your dog’s behavior, and are thinking of rehoming him for that reason, do consider very carefully whether you could learn how to train him yourself. You would need the time to treat re-training as a serious project, but most behavioral problems can be overcome. Dogs with challenging behavior, can be difficult to rehome, and with the help of a qualified behaviourist, you may find you are actually the best person to help your dog. Check with your vet as a first port of call, and don’t be embarrassed or ashamed. 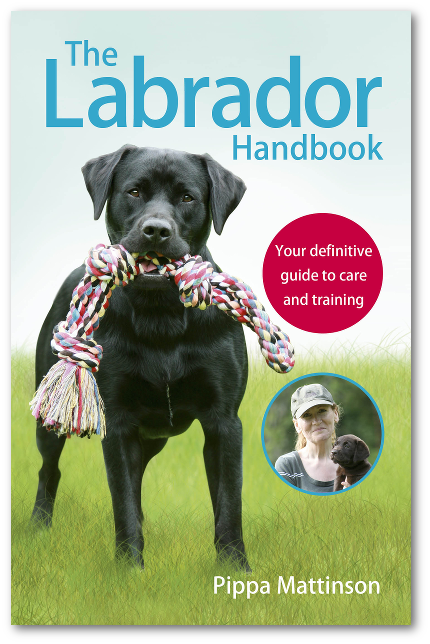 Labradors are big, powerful dogs and can be challenging for first time dog owners. There is no shame in asking for help, and vets have seen many cases just like yours. If you are reading this an cannot imagine how anyone could give up on their dog, you are not alone. 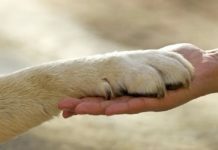 Many people simply cannot envisage a scenario in which they would hand over their pet. To some it would be like giving up on a child. However, we cannot predict the future, and it is possible for any one of us to fall on hard times. In some cases, a dog is better off in a new stable home, than with struggling owners that cannot cope. If you have a new puppy, it is also hard to imagine just how difficult life could be with a boisterous 80lb puppy rampaging around your home in a few month’s time. So much of the puppy behavior that is cute at nine weeks old, is a nightmare to deal with at nine months. The way to avoid disaster is to arm yourself with information, and train your dog as thoroughly as you can. Check out the puppy pages on this website, and the Dog Training Guides for more information. Getting off on the right foot is worth every minute of time you invest in finding out how to care for and train your puppy. We cannot guarantee you a long and happy life together, but we can certainly help. Don’t forget: if you have come to the end of the road, do turn to your local Labrador Rescue for help and advice. They will help you secure a safe and happy future for your dog. Neem Oil For Dogs – What Does It Really Do? Your post does not give any indication where you are located. I am so hoping it might be Melbourne. The Labrador of Labradors my family have owned was a beautiful yellow female, when we got her she was 7 months old. That was our Sandy. She enjoyed playing cricket with my boys on the beach foreshore. Now my boys are grown with little girls of their own. The girls love dogs. I would so love to have a beautiful female lab for my almost kinder age grand-daughters to grow and love. I understand your pain in saying goodbye, I cried for weeks after Sandy passed. But as you can see memories of her are forever. 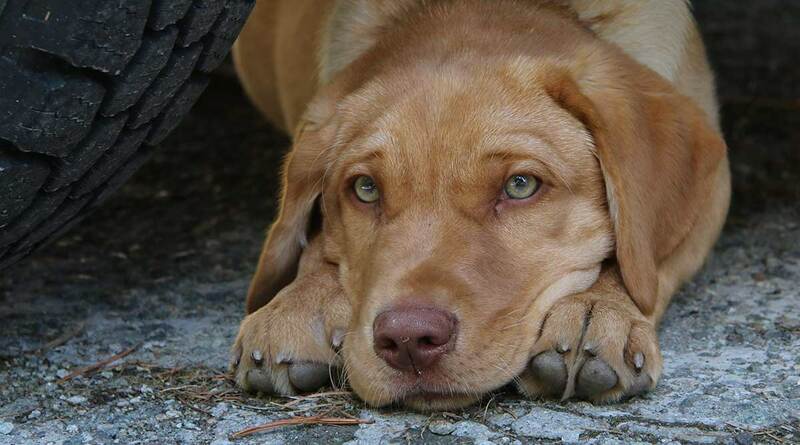 She was not our only lab, before Sandy, there was BJ and Samantha, and after Sandy came Max. The girls were yellow labs, the boys were 1 black and 1 yellow. I hope that I hear from you. My husband and I are retired lovers of dogs… all dogs. We have had two shepherds but our last dog was a failed sniffer dog called Claudia Schniffer. She passed away last year and we would dearly love another. We understand the first years of puppyhood are trying but can’t wait for the opportunity. We live in Hawthorn, Melbourneand have two grandchildren who also love dogs. I have a beautiful Labrador that I would like to find a new home for. Mya is a 9 year old yellow Labrador, with a wonderful temperament. She is very affectionate and loves being with people. Unfortunately our lives have become extremely busy which means we do not have the time she deserves to have devoted to her. We have had Mya in our family since she was 6 weeks old. We are very sad to see her go but know it is fairer to her. We live on the Central Coast of NSW and would like to inquire as to how we register her with your organisation. I have a chocolate lab that was found. He is 6 years old and needs a forever home. I have 3dogs and can not keep him. The only fault I see in him is, he is agressive if another dog gets near his food. Which is most likely a result from being without food and water for so long. Other than that issue he is friendly and plays with other dogs. He plays, fetches and is very loving. My husband and I are 71 and 69 years. Our rescue lab, Beau is 13. My husband and I have been caring for the generation before us for 36 years. The last one passed last July. Our mission for caring for our parents and other family members is done. We are not looking to rehome our Beau, only looking for a foster family, for a few months until we relocate. My husband and I were grandparents at four different summer camps for children in the foster system. 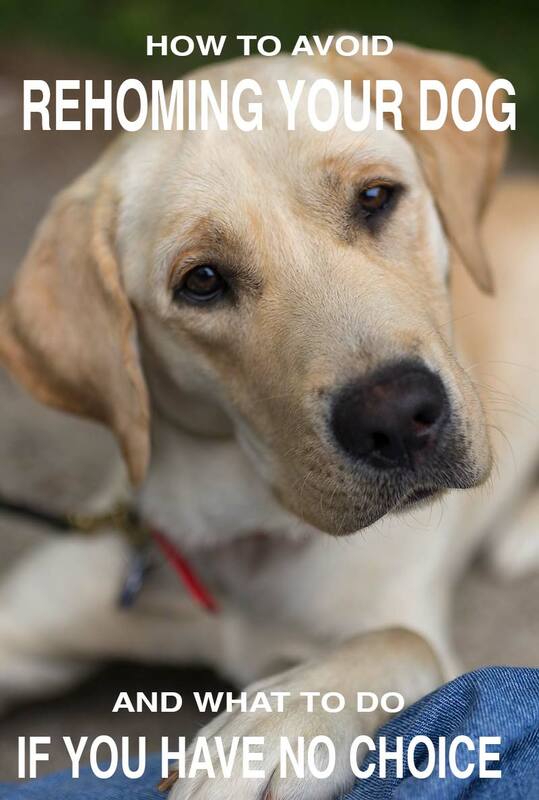 So we do know that there are loving homes out there for children and praying the same for labs. Beau just had all of his shots and the vet said that for his age he is quite healthy. Maybe a few pounds overweight. ? He is a dear, sweet little old gentleman! Any advice on finding a temporary home for him as we get some respite for ourselves? Jenny and Geoffrey, have you found your new labrador? May I ask where you are located?